One of the teams that made the Ajujaht TOP 30 is Groneveer which sells wooden products. They came to Ajujaht with a team that works like a well-oiled machine and an already operational product. They saw the competition as a possibility to raise people`s awareness of their existence. Who are they and what are they aspiring towards? Team member Karl Saluveer answers the questions. How was Groveneer born? Who came up with the idea and why? How was the team formed? Groveneer was born as any necessary idea – from personal need. When renovating my home, I wanted the space to feel more natural. All options were either too expensive, complicated or ugly. So, I had to come up with the suitable product myself. 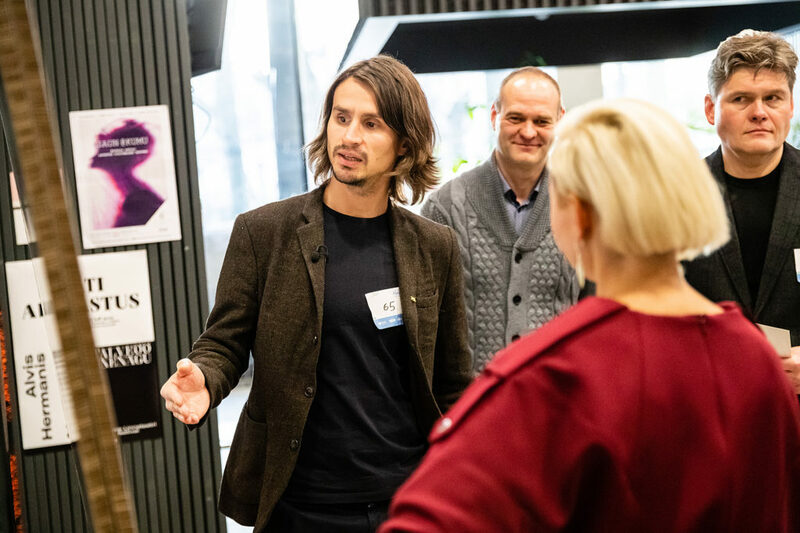 Then I mapped the team`s needs and sought out the right people – Red Dot recipient Product Designer Mihkel Masso, Construction Specialist Kaupo Kala, founder of the Design Agency of the Year Karl Saluveer and Heigar Kütt with long-term manufacturing experience. What sets Groveneer apart from competitors? Can no competitors really offer an equivalent product? 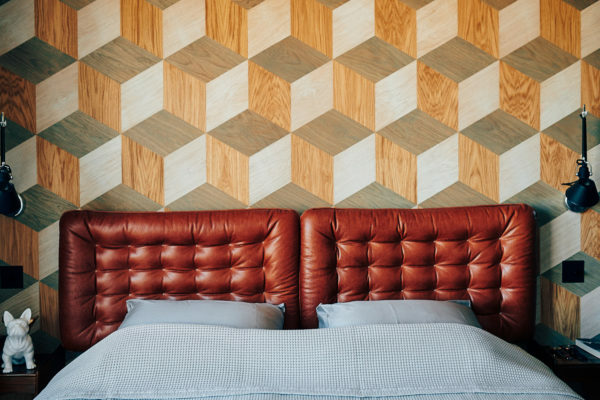 There are many ways to use wood, but they are all rather complicated – wood panels require building a completely new wall, other veneers require gluing and finishing, which is quite complicated due to the thin material. 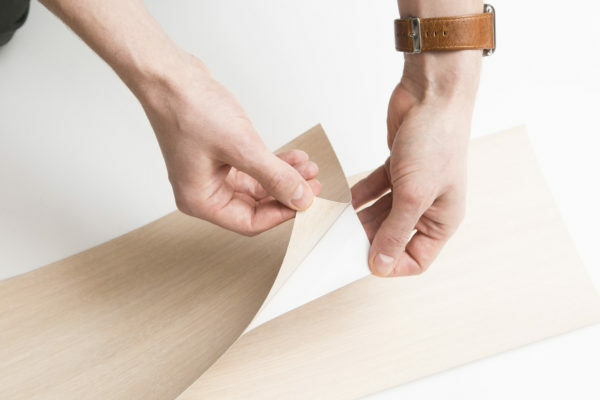 What makes Groveneer special is convenience – all processes have been completed for the consumer and all that is left is to stick the material on the wall. The product is already in the right size, finished with hardwax oil and ready to be stuck on. In comparison to other Ajujaht teams, you seem to have come quite far with your product solution. How are sales? Groveneer currently has three efficient sales channels – 1) our own homepage and social media, 2) construction stores like Ehituse ABC and Interno, 3) cooperation with interior architects and developers. The more we are able to introduce our material, the greater the interest in it. What are you hoping to gain from Ajujaht the most? What have you already gained? The main thing for us is increasing the sales of our innovative material – introduction, marketing, sales channels. Ajujaht has provided more than we expected. Very good speakers and training have been very inspiring. We consider mentoring a great advantage – weekly work has helped keep the focus and develop faster than we hoped. In any case, we have already won. What is your international ambition? The Estonian market is a good place to validate your product, but the ambition is much greater. Though Groveneer has a number of contacts on foreign markets, we are still putting together our active sales strategy. The markets with the most potential are Scandinavia with its vicinity and similar business space and Qatar and The United Arab Emirates due to the high construction volumes. 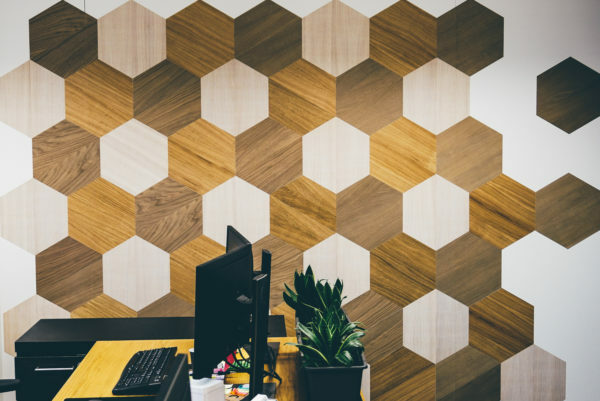 Moreover, precious wood patterns are historically valued there. If you were to compare yourselves to a superhero, then who and why? Groveneer combines the best attributes of several heroes – Bruce Wayne’s sense of style, Batman`s innovative approach to technology, Superman`s stamina, Transformers` skill to combine into different shapes, Captain Planet`s respect for nature. Bigger superhero fans can compare Groveneer to the “Guardians of the Galaxy” films` Groot– a living tree as a superhero.